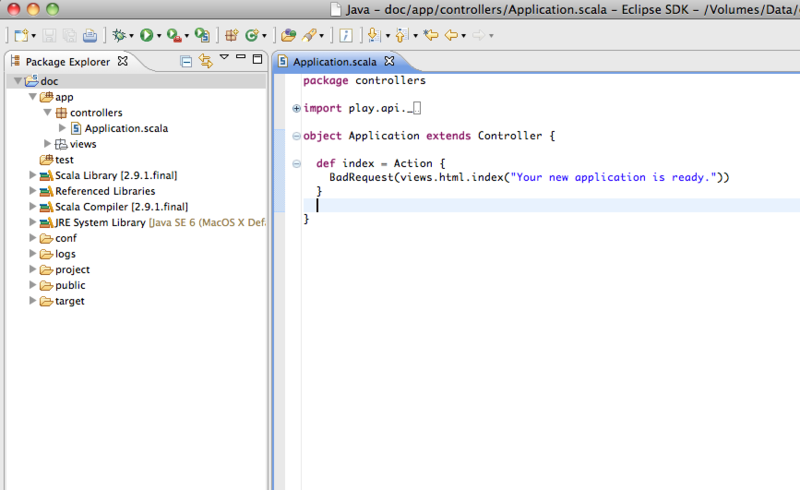 To debug, start your application with play debug run and in Eclipse right-click on the project and select Debug As, Debug Configurations. in the Debug Configurations dialog, right-click on Remote Java Application and select New. Change Port to 9999 and click Apply. From now on you can click on Debug to connect to the running application. Stopping the debugging session will not stop the server. - From the list in the context menu, select Run Pla2 App.